Sarasota is a vibrant coastal city on the southwestern side of Florida. The area is known for its cultural amenities, high-end beaches, plentiful resorts and being eco-friendly. The Ringling family calls Sarasota home. The population is about 54,000 people who love the sun, sand, and relaxed vibes of this friendly beach town. If you love to golf, this is a great spot, since Sarasota hosts more than 30 golf courses within the city limits. Between the historic charm, leisure activities, and beautiful settings, Sarasota is an amazing place to call home. 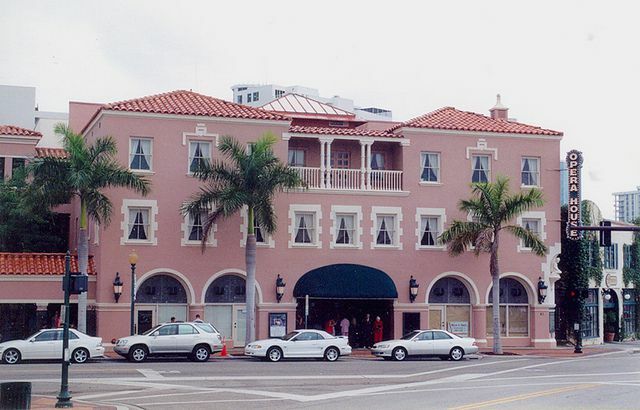 Learn more about Sarasota below. Sarasota has an abundance of affordable and luxury housing options, with styles ranging from cute craftsman to cozy bungalows, and even Spanish or Mediterranean-style homes. Architecture styles that are prevalent throughout Florida include tile roofs, stucco siding, arches, and sleek contemporary lines. Homes in Florida also boast a cheery color palette, including many pastel hues. Beach homes that are on top of stilts or piers with many windows for fresh air are also popular in Florida. Homes in the southeast United States must be durable to protect against both hurricane winds and summer's sticky humidity. The median house price in Sarasota is $262,400 and there are plenty of houses on the market in Sarasota. Our specialized agents in Sarasota can help you find the Florida house that suits all your needs. Sarasota is certainly not lacking in fun things to do and see. It's a whimsical area that has both a small town feel and big city vibes. If you want a sea critter experience, go see the manatee show at Mote Marine Laboratory and Aquarium. You can also stroll through the enormous and incredible John and Mable Ringling Museum of Art, also known as 'The Ringling.' The famous circus family would call Sarasota home during their off season and the museum is a spectacular showcase of how the circus era evolved. 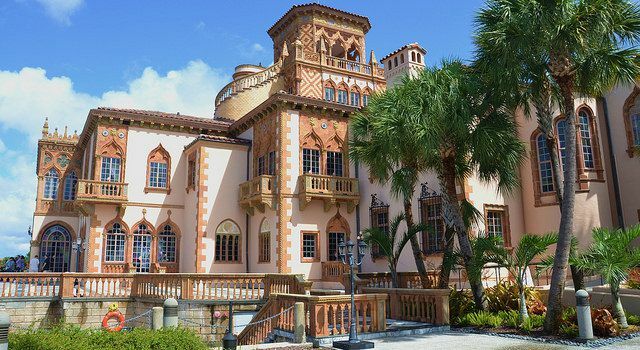 You can also visit the stunning mansion called Ca' d'Zan that was owned by John Ringling during their circus empire. 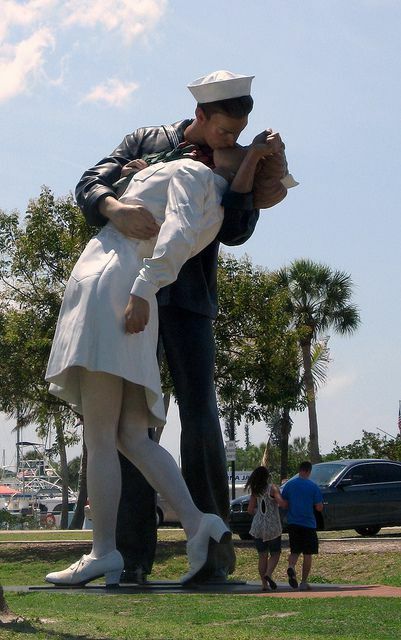 Have fun checking out muscle cars at the Sarasota Classic Car Museum or look for the "Unconditional Surrender," statue near Bijou Cafe. Of course, you can't forget to visit the beach while in Florida. One of Sarasota's gems would be Siesta Key Beach, which was ranked #1 beach in America and it's easy to see why! It has miles of pristine white sands, free parking, and plenty of ocean views. Yoder's Amish Restaurant: this restaurant serves freshly-baked pies and baked goods with Amish flair and flavor. Indigenous: creative and carefully-sourced cuisine served in a restored home. Mozzarella Fella: cozy Italian deli that serves handmade mozzarella and fresh sandwiches. Bijou Cafe: upscale cafe located near the Opera House that serves continental dishes. MADE Restaurant: locally-sourced American comfort food served on an airy patio. 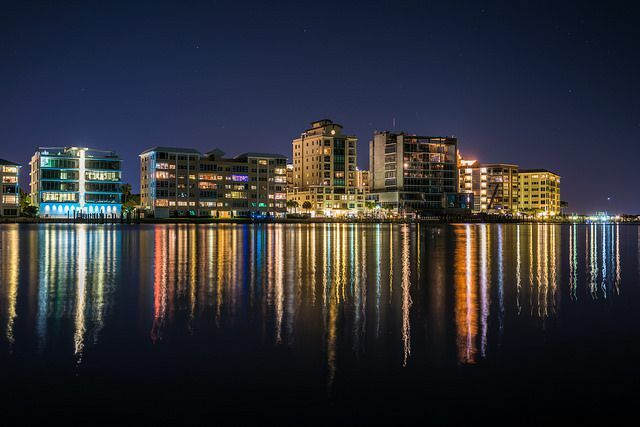 Sarasota is a shining star among cities in Florida and our agents would be more than happy to help you find the right house. If you are looking to sell your home in Sarasota, now is the perfect time. With the beautiful location, homes at all price ranges, easy access to recreation and fun, and a number of fresh dining options, Sarasota is a fantastic place to live and love. Photos courtesy of Flickr, Flickr, Flickr, and Flickr.